When you need a day trip from Chicago or a weekend getaway from the big city, you don't have to go far. These escapes—including Amish Country, Indiana; Galena, Illinois; and Lake Geneva, Wisconsin—are within a one- to three-hour drive and offer a variety of activities that will recharge your life. Indiana Dunes State Park. Photo Courtesy of Indiana Dunes Tourism. This stretch of Lake Michigan coastline offers wide sandy beaches, towering dunes, great birding, easy bike trails and interesting history. Head to neighboring Chesterton for creative burgers at the Octave Grill and a pleasant night at Dunes Walk Inn, a restored 1881 mansion. See Midwest Living's trip guide to the Indiana Dunes area. For theater-lovers, summertime means outdoor Shakespeare. But in downstate Illinois, that takes on a fresh new form. Want improv Shakespeare? Sing-along Shakespeare? Or just a performance of his classics? Starting in June, and running through mid-August, the Illinois Shakespeare Festival in Bloomington-Normal reveals its ode to the Bard. Other draws to the area: Bloomington’s restored 1800s buildings house farm-to-table restaurants, shops and live-music venues. Inside the three-story courthouse, a museum highlights the area’s historical treasures. See Midwest Living's story about a summer getaway to Bloomington-Normal. This town embraces the quirky and classy in its arts, museums, shops, dining venues and outdoor activities. Even its farmers market is a Bohemian rhapsody of local produce, entertainment, art and political activism on the state capitol square. Wander the paths and trails at Olbrich Botanical Gardens or the University of Wisconsin Arboretum; admire the art at Chazen Museum of Art or the Madison Museum of Contemporary Art; take a leisurely cruise around Lake Mendota or Menona; and be sure to work up an appetite—Madison's 600-plus restaurants offer something for every taste. See Midwest Living's trip guide to Madison. Illinois’ third-largest city spent years watching travelers whiz by on Interstate-90 on their way east to Chicago. Now, thanks to a revitalized downtown, an emerging foodie scene, new cultural attractions and beautiful public gardens, word is getting out: You’d be crazy not to stop. The tranquil Anderson Japanese Gardens (pictured) is just one of the draws to the area. See Midwest Living's story about Rockford, including a detailed trip guide. Shops and restaurants in century-old buildings have long attracted visitors to this town of 3,500. But take time to hike, cruise the river or ski the slopes, sip local wines, taste beer and ... do some shopping. 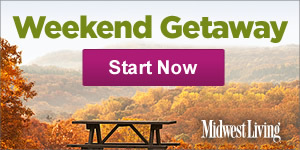 See Midwest Living's trip guide to Galena. Art, music and food festivals fill the calendar, and the compact downtown has just as diverse offerings. Watch the Milwaukee Art Museum's striking Quadracci Pavilion open and close its "wings"; catch the Milwaukee Brewers in Miller Park; tour the Pabst Mansion; or take a simulated motorcycle ride at the Harley-Davidson Museum. See Midwest Living's Milwaukee trip guide. In tiny Nappanee, an Amish man parks his buggy by a gas pump, a living metaphor for the way new and old coexist in northern Indiana. Some people come here for classic Amish Country: 31 kinds of pie at Das Dutchman Essenhaus, hand-sewn gifts and homemade jellies at Little Helpers Quilt Shop, treasure-hunting at the Shipshewana Flea Market. But towns like Goshen, Middlebury and Elkhart also are modern communities. See Midwest Living's Amish Country trip guide. St. Charles Riverboat Cruises. Photo courtesy of St. Charles Convention and Visitors Bureau. An hour west of Chicago’s Loop, the Fox River provides a soothing backdrop to towns brimming with indulgent eats, stores housed in historical homes and posh places to stay. Three towns along the winding river offer restful diversions with a nod to history: Catch a household name playing at St. Charles’ historical Arcada Theater, or just 3 miles south, explore Geneva’s shopping district, where boutiques fill preserved storefronts. And just minutes from Oswego’s charming Main Street—with brick-paved sidewalks—is a family-run winery. See Midwest Living's trip guide to the Fox River Valley. A spring-fed lake and the new Three Oaks Recreation Area—with beach, boardwalk, playground, spray park and hiking trails—await visitors. Indoors, try the eclectic shopping and standout dining. You can take the Metra train to Crystal Lake from downtown Chicago, but to enjoy both the beach and the downtown shops and restaurants, it's best to drive. See Midwest Living's trip guide to Crystal Lake. Towns like New Buffalo (pictured), St. Joseph, Benton Harbor, Holland, Saugatuck and Grand Haven provide pristine beaches, great shopping, lakeside restaurants and front-row view of sunsets over Lake Michigan. The most accessible section of this shore extends from the Indiana line 175 miles north to Ludington. How far you drive is up to you – each town has its own personality. Take a spin on the carousel at St. Joe, tour a working windmill in Holland or just stretch out on a beach — preferably with a view of a lighthouse. Read Midwest Living's trip guide to the southwest Michigan shore. Great outdoors, grown-up eats and classic clubs make for two cultured cities—especially appealing in the summer when University of Illinois students head home. Grab a cheesy bite of nostalgia at Papa Del's Pizza or enjoy more upscale fare at Bacaro; take time to admire the works at Krannert Art Museum and Spurlock Museum; go for a stroll at the University of Illinois arboretum (pictured) or Allerton Park and Retreat Center. See Midwest Living's story about a getaway to Champaign-Urbana. This remarkable pocket of land along the Illinois River includes 18 sandstone canyons; 14 waterfalls; abundant wildlife and birds; Belle of the Rock paddleboat excursions; and guided hikes, special events and interpretive programs. Spend the night in rooms or cabins (and enjoy a hearty meal) at Starved Rock Lodge, built in the 1930s by the Civilian Conservation Corps. If you're up for more exploration, also visit neighboring Matthiessen State Park, where 5 miles of trails carve into the mile-long canyon, passing rocks, waterfalls and beautiful, sometimes dizzying, vantage points. Home to luxe B&Bs, a lighthouse and Lake Michigan beaches, Evanston (a 30-minute L ride north of Chicago's Loop) gives visitors less cookie-cutter suburbia and more leisurely escape. Take in a concert on the Northwestern University campus or tour Few Spirits distillery, where visits begin with a lesson in Evanston's temperance history. See Midwest Living's guide to a stay in Evanston. Though it’s home to the Fighting Irish, it’s not all football in South Bend. The St. Joseph River provides a great place for water sports and serves as a sparkling backdrop for a weekend of shopping and dining in the hometown of the University of Notre Dame. See Midwest Living's South Bend trip guide. A great weekend destination for both shoppers and history buffs, Cedarburg has a Main Street that's on the National Register of Historic Places and dozens of limestone buildings housing more than 70 boutiques, chocolate shops and restaurants. Explore the town's history at the General Store Museum and Kuhefuss House Museum, and admire handiwork at the Wisconsin Museum of Quilts and Fiber Arts. The town especially sparkles at Christmas! See Midwest Living's trip guide to Cedarburg. Read about Midwest Living's Christmas trip to Cedarburg. Sitting on a rocking chair on a veranda at Indiana’s Turkey Run State Park inn feels surprisingly like taking refuge deep in the forest. The only sounds? Wind rustling through the trees. Owls hooting. Squirrels chattering. Brooks babbling. Maybe that’s why quiet types flock here—bird-watchers, hikers and history buffs eager to explore Parke County and its covered bridges. Read about Midwest Living’s trip to Turkey Run State Park inn. Photo Courtesy of Lake Geneva Area Convention and Visitors Bureau. This resort town of 7,600 has draws for summer and winter. Hotels, resorts and restaurants hug the lakeshore. Most visitors loll on the beach or cruise the lake during summer, but you can also experience the warmth of its winter in January and February during the annual Winterfest. 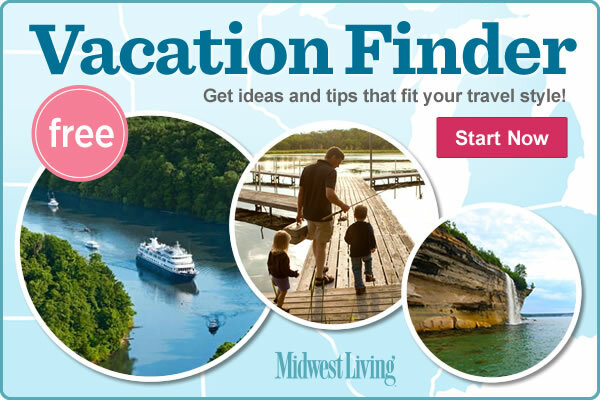 See Midwest Living's summer getaway guide to Lake Geneva. Read about a winter getaway to Lake Geneva. Photo courtesy of Frederik Meijer Gardens and Sculpture Park. Inspiration flows on both sides of the Grand River, particularly near downtown. Grand Rapids' annual ArtPrize extravaganza in the fall is part art walk, part city tour and and entirely vacation-worthy. But there's plenty to see at other times of the year, too, including the Frederik Meijer Gardens and Sculpture Park (pictured), Frank Lloyd Wright's Meyer May House and the Gerald R. Ford Presidential Library and Museum. See our Grand Rapids trip guide. The Osthoff Resort. Photo Courtesy of The Osthoff Resort. Sun, sand and.. race cars? Most people come here for quiet weekends of swimming, sunning, boating and water-skiing in the crystal-clear lake, but the legendary Road America course is popular with amateur racers and their fans. Nearby Kettle Moraine State Forest also offers outdoor rec of another type with trails for biking, hiking and running. Round out the weekend with a stay in one of the area resorts such as the Osthoff (pictured). See Midwest Living's itinerary for a two-day Elkhart Lake getaway. Photo Courtesy of Lewis Station Winery. Famous for The Ephraim Pottery Studio and Gallery, Lake Mills also offers plenty of outdoor recreation on Rock Lake, the Zeloski Marsh and the Glacial Drumlin Bike Trail, as well as a cozy Arts and Crafts style B&B. Snack on crackers and sip wine at Lewis Station Winery, and don't miss the old-fashioned James J. Chocolate Shop.  Read Midwest Living's itinerary for a two-day getaway to Lake Mills. Apple picking, winery tours and cottage-style accommodations characterize this region, perfect for a fall getaway from Chicago. Read Midwest Living's story about an overnight trip to Red Arrow Country. Every day, hundreds of drivers speed past the turnoff on US-20 for Apple River Canyon State Park, bound for getaways in Galena. Those travelers admire the view from the car, not realizing that if they wanted a peek at one of the area’s few remaining secrets, they should turn north on Canyon Park Road west of Stockton and drive for just 7 miles. The 297-acre Apple River Canyon State Park offers quiet amid the woods along Apple River. Hike the bluffs. Look for fossils. Listen for wildlife. Fish the river—and let the others head to Galena. See Midwest Living's trip guide to Apple River. This area is famous for its supper clubs that serve nostalgia and hearty portions. It all goes down easily with an old-fashioned drink. 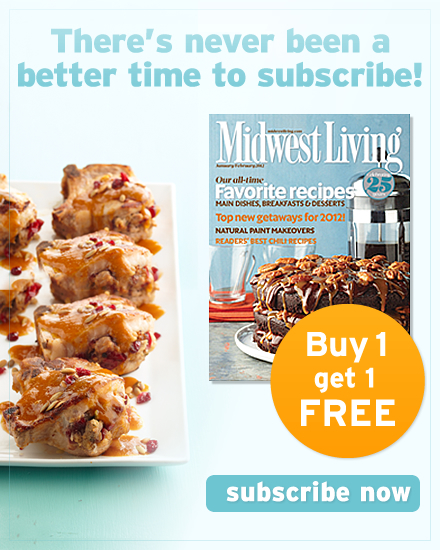 See Midwest Living's story about Beloit's supper clubs. Experience landscape that once rolled across the Midwest like an ocean at this restored prairie. Spot birds, hear frogs, hike and bike, see wildflowers and unwind among the 19,000 acres. 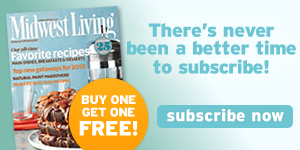 See Midwest Living's story about Midewin National Tallgrass Prairie. It's just a train ride from Chicago, but Woodstock feels anything but suburban. The historic town square (famously featured in Groundhog Day) is adorable, with great home decor shops and a cozy bookstore. Come for the Woodstock Mozart Festival in July and August or the farmers market—or the annual Groundhog Day Festival in early February. See Midwest Living's trip guide to Woodstock.